The time it takes to mix fluids in disposable bags under different operating conditions is a key issue for many process developers.This method is applicable in cross-flow filtration. Results show that good mixing in a relatively short time can be achieved for all conditions tested if sufficiently high recirculation flow rates are used. In many situations, this can be attained in three minutes or less. The change from fixed-geometry stainless steel vessels to disposable bags generates new mixing considerations. 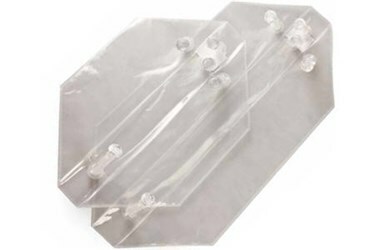 Apart from magnetically-driven impellers, which often are the option when employing disposable bags, an alternative method of mixing is to simply recirculate the solution within the reservoir bag. Because cross flow filtration generally requires that the bulk suspension (retentate), processed by the filter, is actively circulated, in-bag recirculation is suitable for this mixing application.